Scrappy was a 15 year old beagle that was surrendered to the shelter. Shortly upon coming into rescue we learned that Scrappy was in advanced heart failure. We would have never known. He was so active and lively when he arrived. Scrappy was only with us a few weeks, but they were a good few weeks for him. This older gentleman was Peanut. He was a handsome poodle that came to rescue from the shelter. Peanut had been diagnosed with testicular cancer. Peanut was definitely a lap dog and loved being held. This is Emma, the 5 pound min pin that was picked up as a stray. She was very sweet and docile and slowly gained strength and weight. 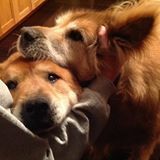 We are very sad to see Emma leave us, but she was very loved by her foster family for the time they were together. We lost our sweet, little Daisy this May due to advanced cancer. 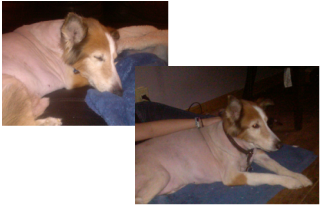 She came to us from the CB Shelter severely matted and had several large mammary gland tumors. 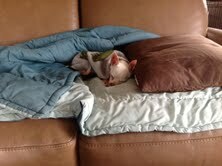 Special thanks to Donna who opened up her heart and home and provided hospice care to this little gal. She went from a nippy, scared, matted mess to giving kisses and allowing Donna to pick her up. Amazing what love can do for an animal that has never experienced it. We are not sure what her past life was like but considering her condition when we brought her home from the shelter we assume it was not great. That completely turned around in the last 2 months and she was given the life she deserved. It makes our hearts happy to know she lived her last months surrounded by love and pain free. Archie came from to P4P from the CB Shelter. He had been found in a filthy, abandoned home. Thanks to his foster mom, Melissa, we were able to take him out of the shelter. 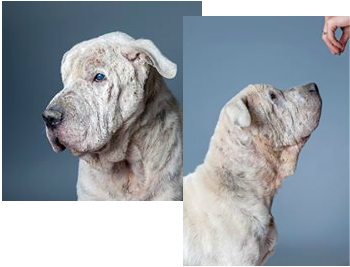 His foster home gave him lots of love and attention his remaining years. 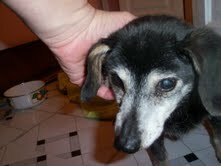 Sweetie was a 15+ years old Dachshund/Chihuahua mix, the size of a small doxie but her face has Chi features. 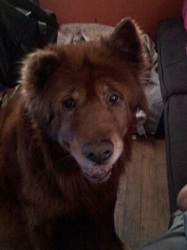 Sweetie came into rescue in July 2012 and loved her golden years with her amazing foster family. 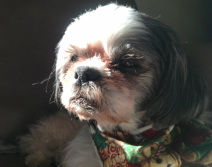 Baxter was a 16 to 20 year old shitzu brought into rescue August of 2013. He was a sweet little guy that just needed a safe place to live out the rest of his life. Baxter was a joy to have in rescue and will be greatly missed.